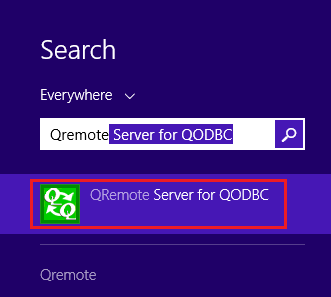 By default, QRemoteServer will start as soon as a user logs on to the system. 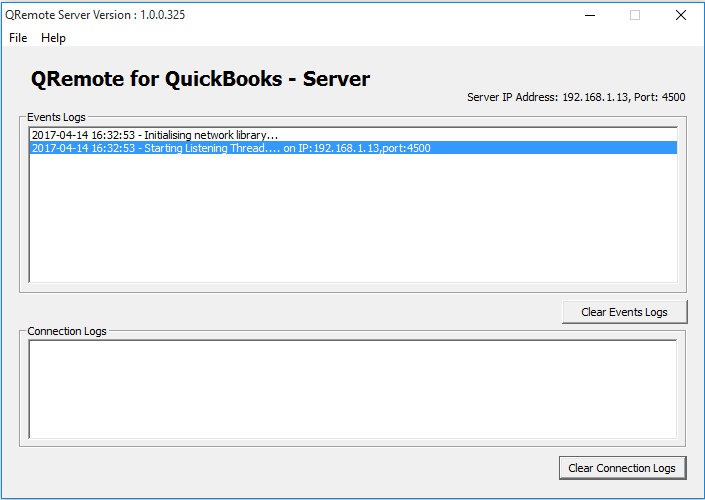 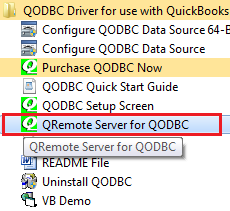 Click on QRemote Server for QODBC from the search result. 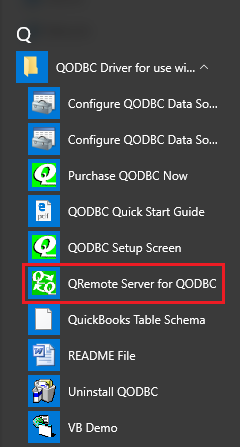 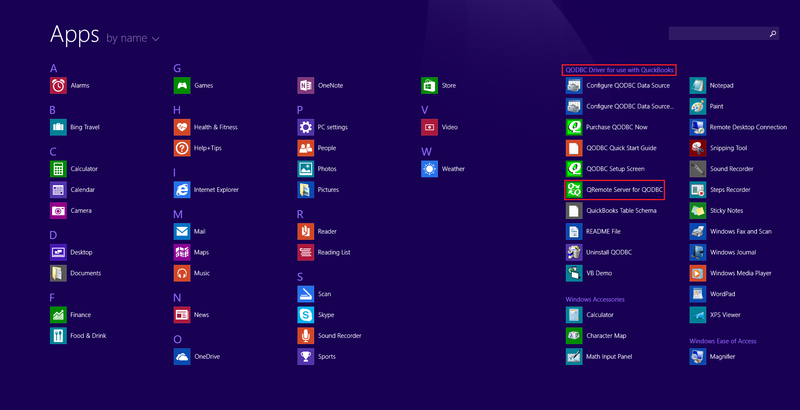 You can bring up the QRemote Server main window by double click the QRemote Server icon from the system tray.